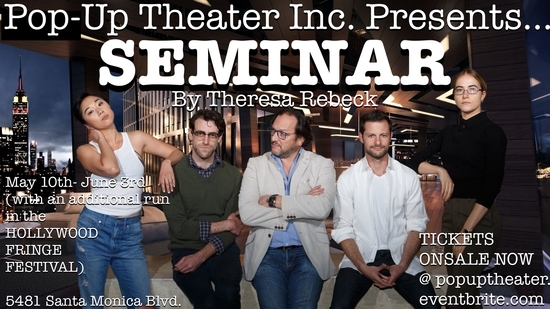 Theresa Rebeck’s hit Broadway play SEMINAR. 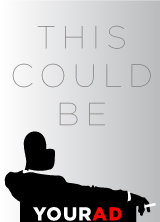 Starring an all new cast in the site-specific venue at Thymele Arts in Hollywood. The story begins with four aspiring writers, (all in their 20s, acquainted with each other and living in New York City) who have just hired world renowned writer, editor and teacher Leonard for a 10 week seminar to teach them how to be better writers and help their careers along. And they have absolutely no idea what they’ve gotten themselves into. Pop Up Theater LA was founded in 2014 by a group of artists who realized that exciting theater in LA needed attention and so created a company that brings immersive and interactive performances to the audience. It is a unique theater experience combining the intimacy of film with the power of live performance. We bring life to non-traditional performance spaces that embody the character of the work and make both site and audience part of the story. Pop Up Theater LA has performed at The Beverly Hills Hotel, The Palm Springs Art Museum, SpaceBohemia, Bunker Hill Towers in DTLA, The Culver Studios, and for non-profits such as The Actors Fund, Palm Springs Photography Council, and Pilot Light Foundation.